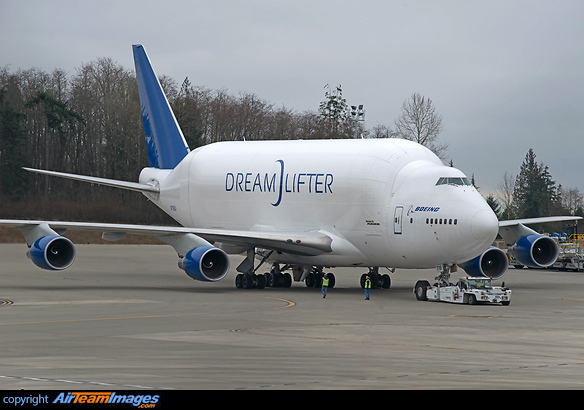 The Boeing Dreamlifter is a modified 747-400 passenger airplane that can haul more cargo by volume than any airplane in the world. It is the primary means of transporting major assemblies of the Boeing 787 Dreamliner from worldwide suppliers. 4 x Pratt & Whitney PW4000 (52000 - 99040 lbf) turbofan engines.